Porcelanosa was excited to bring Krion into the U.S for this project, as well as using the tiles ‘Moon Saturn’ and ‘Dubai Nacar’. 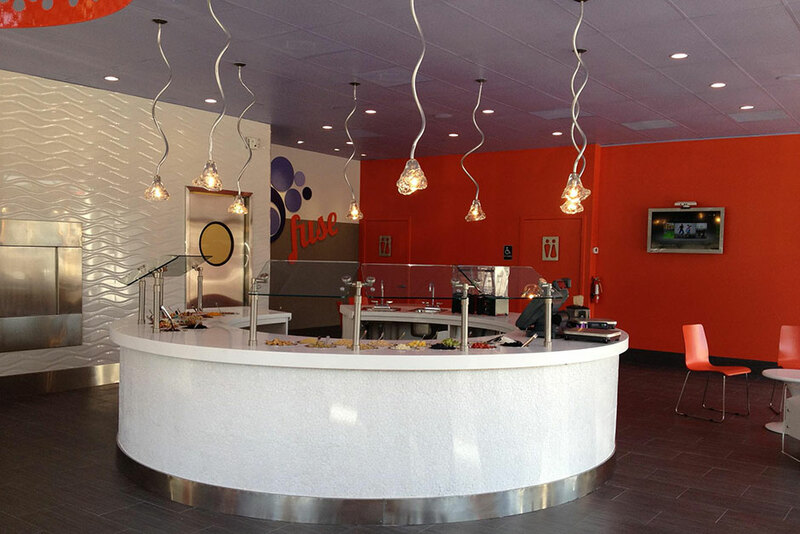 In total 5 slabs (12ft) of Krion Lux Snow White were used to create the toppings bar, a main focal point . The edges were built up so the countertop appears thicker than normal and holes were cut to the exact specifications for each of the toppings in the countertop.